News For The Blind: Smoking Gun Evidence: Magazine Was Already in Mosque & Shell Casings Disappeared Mid-Air! As many of you might know, Renegade sites were down for the longest outage since we have been on the well-protected Zensurfrei server, which was knocked out by a massive, sophisticated DDOS attack that likely originated from a state agency, given the amount of resources required. 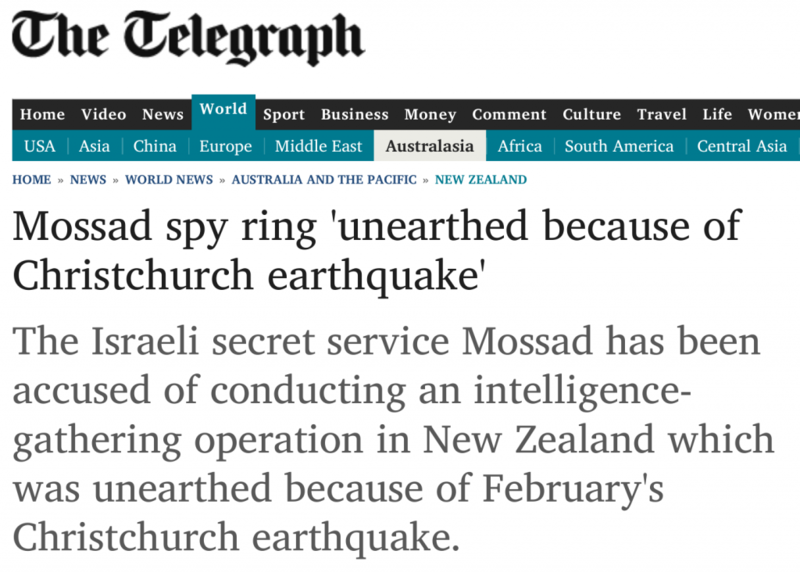 I do not think it is a coincidence that this all comes in the wake of the New Zealand staged event, and that Renegade has been one of the few outlets to call this out as being an obvious psychological warfare operation. Our enemies really do not want the truth about this particular PsyOp getting out in a big way, so they are pulling out all the stops to ensure people keep believing the media narratives. Instead of backing down, I will be doing everything possible to expose this event for as long as the sites remain available. Two pieces of evidence have come to my attention that truly blow the mainstream narrative out of the water. 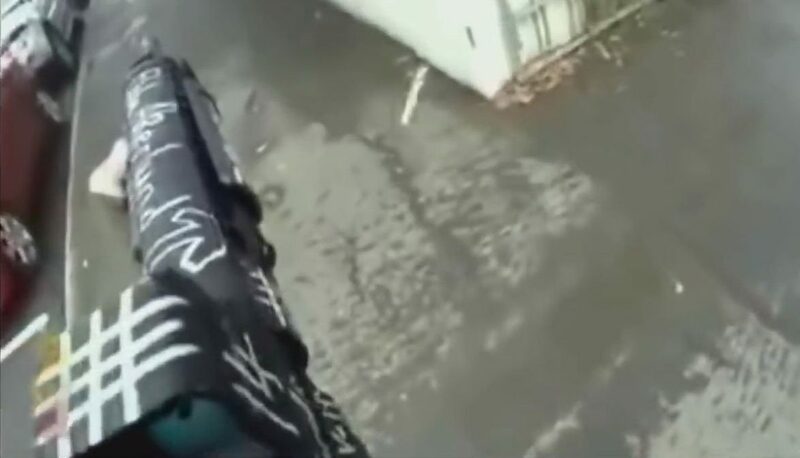 The first video show that a magazine with the gunman’s writing on it was already in the hall of the mosque before he entered for the first time. He looks down at the magazine, which he did not throw into place, as he had both hands on his AR-15, and then passes by it. There is no way he could have planted it there previously and not had anyone notice it and pick it up. Therefore “worshipers” inside the building must have been crisis actors, in on the whole thing. Watch the video all the way to the end, as you will see the gunman come back into the hallway and pick up the magazine and load it into his weapon. The next piece of evidence shows that not only was this video staged, it was also manipulated in post-production. While the gunman is firing down the street, we see shell-casings being ejected from his rifle. It looks rather convincing, though the sound we hear does sound like he is firing blanks, until you take a closer look at the video, especially when slowed down. The shell casings all disappear in mid-air. None of them actually reach the ground. Feel free to try to debunk this by showing me a screen capture of a shell casing on the sidewalk. You can’t. There are many more anomalies and absurdities that point to this being a hoax shooting, filmed in advance and then later edited to make it seem more believable, but these two clips should be enough for anyone with a working brain. We have here the smoking gun evidence that this was a manufactured event. We could theorize as to why New Zealand was hit with this PsyOp. Does it have anything to do with Netanyahu threatening war with New Zealand over a UN vote condemning settlements? Or maybe New Zealand’s famous musician Lorde canceling her concert in Israel due to their human rights violations? Or maybe they just needed an excuse to grab the guns from Kiwis like they did with the Aussies after the Port Arthur shooting? Regardless, this was not a localized event, as media from around the world is covering the story and there is now an incresed massive push to not only eliminate White people’s ability to defend ourselves, but also to ensure we cannot expose their media manipulation.